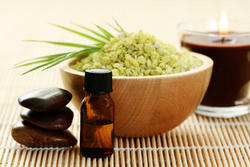 Our firm Natural Aroma Products Pvt. 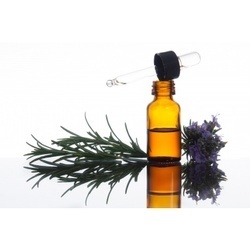 Ltd. formed in the year 1995 is counted amongst the prominent manufacturer, exporter and supplier of a comprehensive array of Essential Oils and Aroma Chemicals. We formulate these products using premium quality ingredients, which we source from the certified vendors of the industry. These products are highly appreciated among our clients for their significant features like efficacy, purity and quality. 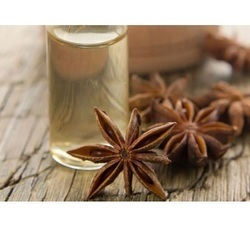 Our offered range of products includes basil oil, cajeput oil, aniseed Oil, eugenol and many others. At our quality testing unit, our team of quality analysts checks these products at each stage of the formulation process on certain quality parameters. Backed by a well-equipped manufacturing unit, our team of qualified professionals has been successfully catering to the demands of both our clients and the market by offering a flawless range of oils and chemicals. Our team members work under various departments as per their share of responsibilities and tasks in order to carry out the entire business operations in a systematic and professional manner. With a wide distribution network and efficient transport facilities, we have been able to satisfy the demands of our clients in a timely manner. Our products range includes Ajwain Oil, Basil Oil, Cajeput Oil, Cedarwood Oil, Cinnamon Leaf Oil, Clove Leaf Oil, Natural Dill Seed Oil, Lemongrass Oil, Mentha Arvensis Oil, Mentha Piperita Oil, Peppermint Oil etc. We also offer Anethole, CIS-3-Hexenol, D-Limonene, Eugenol, D-Isomenthone, L-Menthone, Natural Linalool, Menthol Crystal, Phenyl Ethyl Methyl Ether, Eucalyptol, Phenyl Acetic Acid 99, Phenyl Ethyl Acetate, Thymol Crystal etc.